The only thing that might be better than a classic vanilla ice cream cone is a vanilla-scented sensual massage. 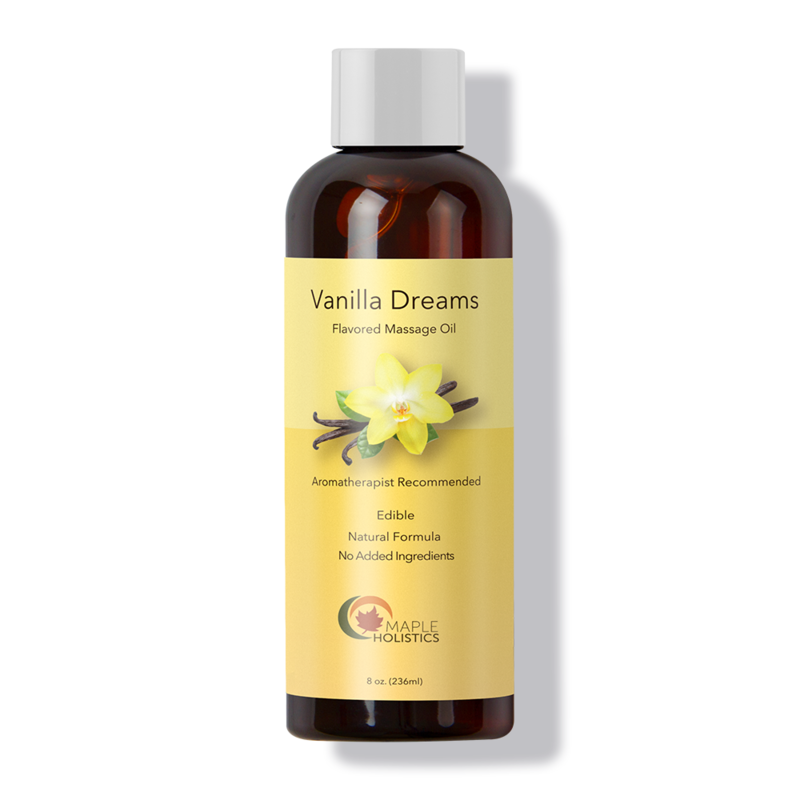 Our vanilla dreams flavored massage oil is an edible massage blend that has aromatherapy, and aphrodisiac benefits which calm nerves and ignite passions. 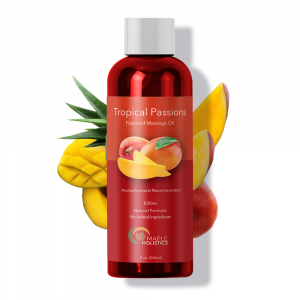 The nourishing medley of coconut, jojoba, and sweet almond oils with vitamin E deliver anti-aging nutrients to protect collagen and elastin which helps maintain a smooth, youthful complexion. Our delicious blend is paraben-free, non-greasy, non-sticky, non-staining, and has the ideal absorbency for a long-lasting massage. Coconut Oil, Vanilla Extract, Jojoba Oil, Sweet Almond Oil, Vitamin E.
“Vanilla Dreams is amazing. Although the scent is more on the maple-syrup side, it doesn’t take away from the quality one bit; it’s quite the bonus! 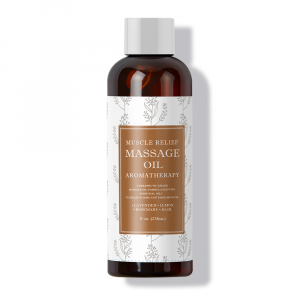 Like all the other Maple Holistic products, it’ll leave you soft & smooth. Can’t wait to try out other products! 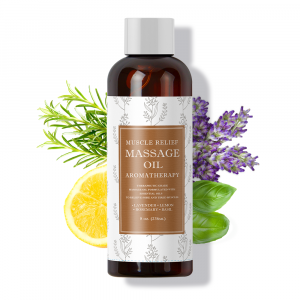 The smell was amazing and such a great product for massaging. 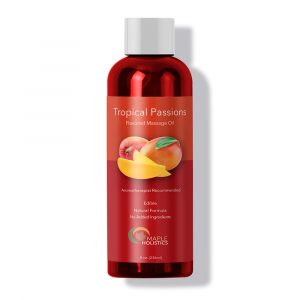 It washes off easily with soap and does not leave an after smell on your hand or body. Will be purchasing again. Didn’t like the scent. Smelled too strong of maple rather than vanilla.